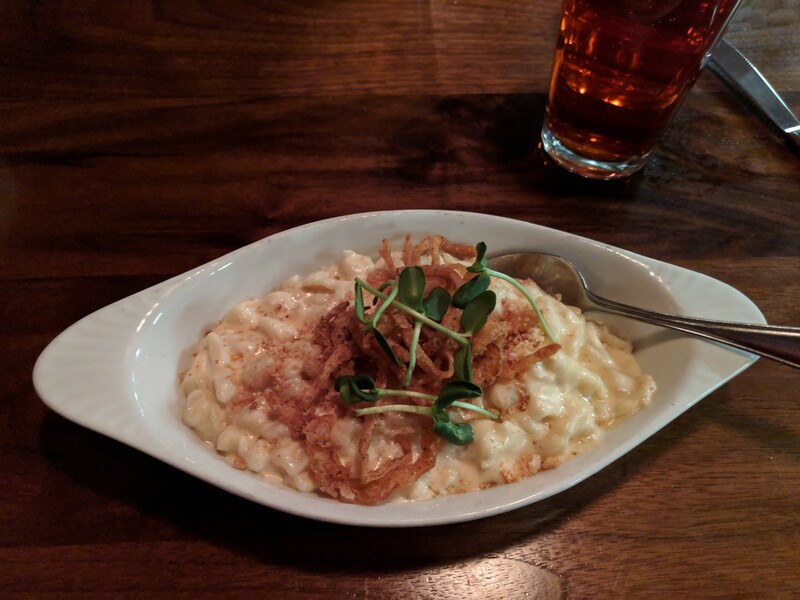 Decadent, cheesy and comforting: Durkin's IRW spaetzle entree. Of course we wouldn't miss out on our own party. Throughout the duration of Inlander Restaurant Week, through Saturday, March 2, Inlander writers plan to share their own experiences dining out around the region. First up, we visited two downtown Spokane spots on day one of IRW 2019, both serving up $31 three-course menus. The nine options on Durkin's Restaurant Week menu ($31/person) are all new and different from the wide variety of classics and upscale dishes on its current regular menu, so get 'em while you can. As with most visits during Restaurant Week, I usually have a pretty good idea of what my partner and I will each order before we even arrive, and this time was no different. 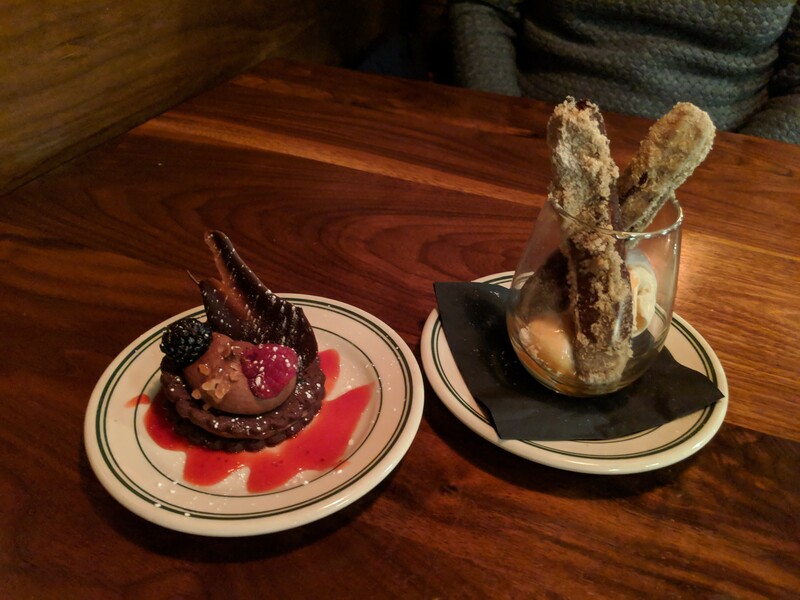 Durkin's chocolate mousse stack (left) and bananas foster churro. For course one, I knew he'd enjoy the savory rustic pate de Champagne (I was right), generously letting me steal a few bites alongside our other first course pick, the shaved Brussels sprouts salad, topped with tiny cubes of crisp apples, toasted walnuts and an apple cider vinaigrette. The two appetizers were both light enough in portion and ingredients that we were both feeling confident we'd devour our second course choices: rabbit and dumplings (him) and the spaetzle mac and cheese (me). The house-made spaetzle, topped with American cheese sauce, breadcrumbs and fried onions, was cozy and ultra rich, to the point of being almost too much for me to finish on my own. Thankfully, he had the appetite to help me out after quickly finishing his hearty stew. 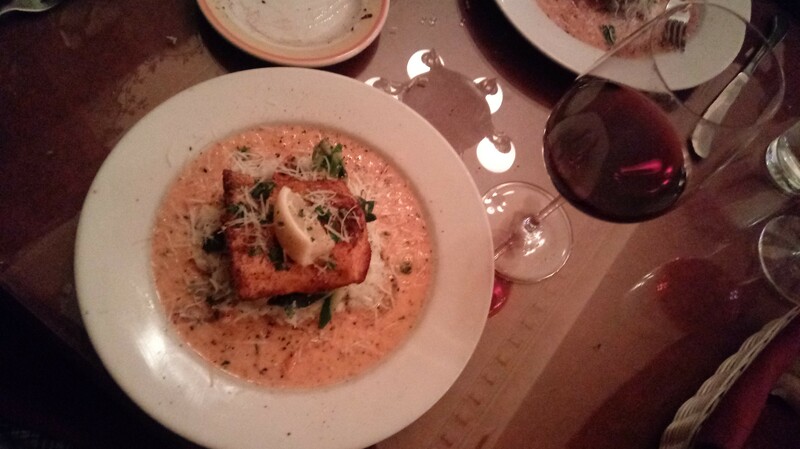 Italian Kitchen's blackened halibut, a recommended second course choice. My strategy when it comes to Inlander Restaurant Week generally consists of two parts. First, I always try to go to a place I've never been before. And second, I try to suss out what menus seems to be delivering the most bang for their buck. Italian Kitchen, a new participant in IRW, fit the bill for the first part, and I can happily report based on the leftovers currently sitting in my fridge at home, the place delivered a pretty sweet deal for $31, too. One of the advantages of using IRW to discover new places is that you might add a new option to your dining-out choices the rest of the year. As healthy and constantly growing as our food scene seems, the Inland Northwest is still relatively small compared to a big city, and it's not hard for my partner and I to stump ourselves when trying to think of a place to go when we want a change of pace from our regular spots. I can definitely see Italian Kitchen becoming part of the discussion after diving into the blackened halibut entree Thursday night. The fish was cooked perfectly, the seasoning gave it a nice little bit of spice, and the parmesan veggie risotto it sat on top of was creamy, rich and delicious. Same goes for the roasted red pepper vinaigrette that had a vivid color (I clearly didn't capture well in that photo above). Just trust me — I was sopping up every bit I could with the warm rosemary bread served with dinner.